Make your world look like a model city! 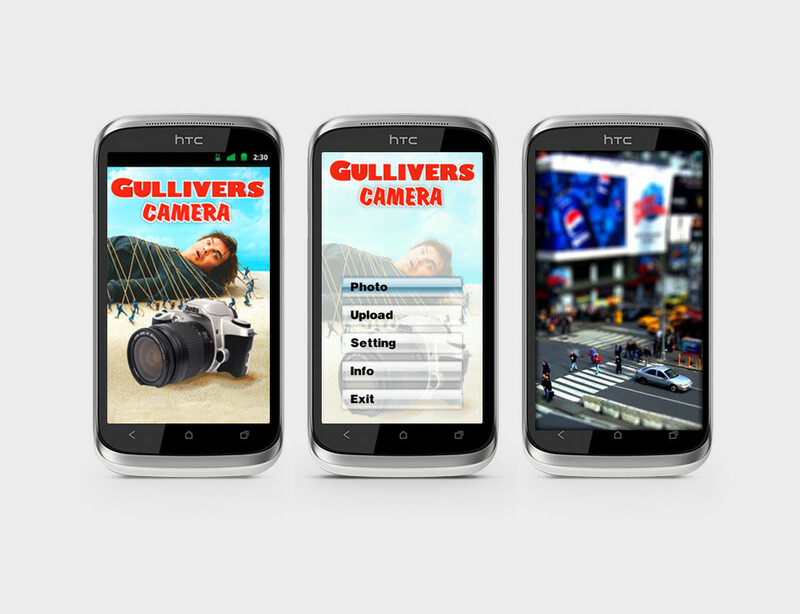 Gulliver Camera Android app instantly turns everyday scenes taken with your mobile camera into a miniaturized panorama! Create cool images that look as if they were taken on location at a model railway exhibition! Cars, houses, and people – everything looks like lilliput with Gulliver Camera app! And with built-in connectivity, you can post your masterpiece to your favorite social networking site at the press of a button! Compatible with all Android devices.